Born in Tokyo in 1969, Tomoko began playing the piano at the age of three. 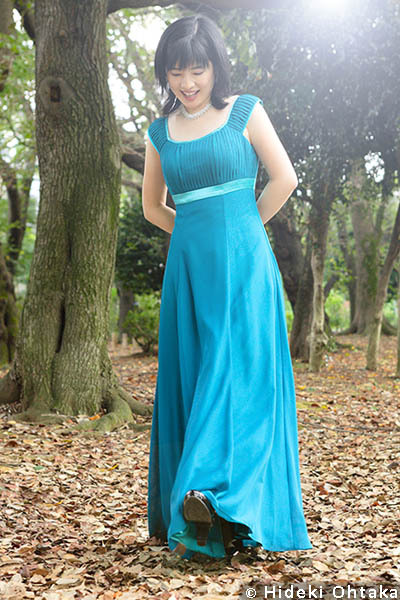 She studied at the Tokyo College of Music High School and Tokyo College of Music under Katsuko Miura and Kazune Shimizu, winning Third Prize in the Special Grade of the PTNA Piano Competition in 1992. In 1993 Tomoko moved to Germany to study at the University of the Arts, Berlin under Prof.Rainer Becker. In 1995, during her studies in Germany, she was awarded a Diplom at the International Music Competition Maria Canals of Barcelona. Since high school Tomoko has been dedicated to ensemble performance. She places importance not just acting as an accompanist, but on serving as an essential partner during performances. With flexibility and a resolute musical sense she possesses great ensemble abilities that allow her to become one with her co-performers. She is highly regarded for her ability to draw out the musicianship of her collaborators. As a result she receives offers from musicians all over the world for CD recordings, concert tours, and recitals. Additionally, Tomoko has served as an official pianist at competitions and workshops across the globe, including the International Instrumental Competition Markneukirchen (Germany), ARD International Music Competition (Germany), Philip Jones International Competition (France), International Trombone Festival (Denmark), Pacific Music Festival (Sapporo), Mondoñedo Workshop (Spain), and TubaMania International Festival (Thailand). She has won many best pianist awards at these events. From 1998 Tomoko has served as brass and wind répétiteur at both the University of the Arts, Berlin and the Franz Liszt college of Music, Weimar. She receives extremely high praise for her work in these schools and many of her students have won prizes at international competitions. Tomoko currently lives in Berlin, Germany.